Beautiful springtime blooms in a delicate shade of soft yellow make this lilac truly unique. Improved plants are carefree and vigorous, requiring very little maintenance. 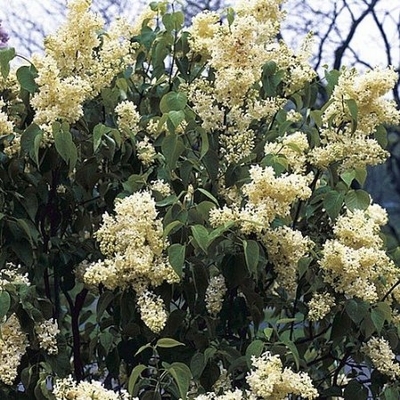 Intensely fragrant blossoms make it ideal as a specimen planting or as a bushy hedge. Handsome and compact, this fast grower covers itself with large panicles of flowers that become richer with age. The best color shows after about five years; however, the color is not as intense in warmer climates. Reaches a height of 8-10'.